jet skiing, hiking, cycling, bird watching, and more. kitchen with 2 microwaves, range/oven, dishwasher, and all small appliances. There is also a nice stone fireplace in the Living Room, with free firewood. horseshoes, Croquet, Badminton, Ladder Golf, Corn Hole and lakeside campfires. Deck overlooking Lake. Enjoy breakfast on the end of the pier at the large hexagonal table with six chairs and a 12’ market umbrella. The dock has electricity, and over 12 feet of water. Dusk to Dawn lights at dock and deck for added security. boat trailers. A pontoon boat is available for daily or weekly rental. Golf nearby at Timberlake and Mid Carolina, as well as a par three driving range, and minature golf near Chapin. Live theater in Chapin. Just wanted to let you know that the family had a Great! time.We were just so excited with the house and the view of the lake it was wonderful. make our stay a time to remember.We plan to come again.THANKS again Mr.Rich hope to see you soon. P.S. Next time maybe we can have a fish fry. We had the pleasure of renting Rick's cottage for a New Year's family reunion. The location on Lake Murray was perfect because we had one daughter in NC and one in GA. The cottage was well stocked with linens, cooking utensils, and everything we needed. All we had to buy was groceries. The view of the lake was gorgeous and the yard was very large, with plenty of room for the grandkids and the grand puppy to run and play. Everyone really enjoyed the New Years Eve bonfire at the fire ring. All in all, it was a great place, a great time, leaving us all with wonderful memories of time spent together. So much better than staying in a hotel. We are all looking forward to doing this again. We spent 2 1/2 months in SC coldest winter in decades at Rick's cottage. We loved the gas fireplace and Rick was right there with warm bedding and clothes for our dad to go fishing. For as cold as it was the fishing was great! We loved the area and are looking forward to returning next winter. We have never had such attention at a rental place. Each day Rick checked in on us and asked if we needed anything. Our springer was right at home in the large yard and loved Rick as well. Great guy and great place! You'll love it! Homeowner Response: I really enjoyed your family and your dog!! I especially enjoyed Dennis's Dad and his stories of spending WWII in a tropical paradise!! However, the fishing was the worst it has been in my past 11 winters on the lake. I do hope we have better fishing this next winter, and I also hope you can come visit with us again. I'm not sure what to say in addition to existing feedback, except that it is all really true. Rick and Randy are the perfect hosts, and do whatever they can to make the stay a great one. We had to call on Rick when we had car problems, and I don't know what we would have done without him. House and property have what you need for a wonderful time. 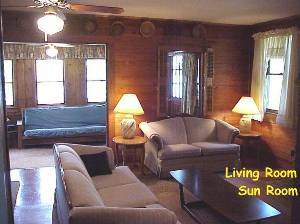 The location on the lake is nearly ideal, private with terrific shoreline fishing, but with view of a wider expanse of lake. Fishing was as advertised, and fish here at home look smaller than they used to! Homeowner Response: I surely enjoyed your and Phylis's visit! So sorry about your car problems, but glad that you got home safely. Please come back and visit us again soon. We really enjoyed staying at this cottage. The accomodations were very nice & efficient. Rick was an excellent guide. We definatley highly recommend this place for your visit to the lake. Great weekend and great rental. I would highly recommend and look forward to a return trip. My wife and I surely enjoyed our stay at Ricks. The AC was on and the TV was tuned to the football game. I knew I was going to have a great week. Before I knew it Rick was there to answer all of our questions. After we got settled in he also took me to the boat ramp and drove my truck back to the house while I drove the boat back to our dock. I'm you other wives know what a marriage saver that can be. The rest of the was just more of the same.We could not have been happier and we will return. Thanks so much for our wonderful stay in the cottage at Lake Murray. Never have we had accommodations so complete. Not knowing what to expect for our first visit, we packed everything. We never unpacked anything but the food we brought. It seemed someone had left the cottage for perhaps a trip to town and we just moved in. You were the greatest host- providing fishing information and giving us hints about where on the lake to fish. Since this was our first time on the lake, the information and maps you shared with us were invaluable. We were sure to find fish. While the weather was not the best, we had a blast. We fished day and night and in the rain; but, what's a little rain? The striper fishing trip with you was awesome even in 4-foot waves and 15 mph winds. You made every effort to ensure we caught fish --- and we certainly did. You were so considerate to leave the cart for us to drive. It was such a help. Thanks also for allowing our dog Ginger to stay with us. She had a great time and loved being on the dock. Rick, we are so looking forward to returning soon. Our trip to your cottage was one of the best vacations we have ever taken and we would recommend it to anyone looking for a great place to visit. We have had a wonderful week! Your lake house has been perfect for our families. The boys and Callie have LOVED the dock, which they fished from EVERY day! We adults have enjoyed the rest and relaxation (much needed) your place has provided. We cannot thank you enough for taking the boys Striper Fishing - that was an experience they will NEVER forget! Your hospitality and patience has been much appreciated. We look forward to spending time here again! Each year we have a Five Brothers Reunion somewhere in the U.S. to fish, play cards and catch up on our lives. This year we met at Rick's Lake Murray Cottage and had a great time. Captain Rick took us out to show us where and how to fish for Stripers. He's a great teacher because we caught plenty of fish afterwards. This is a fantastic lake with a lot of nice fish, clean water and pretty shorelines. So the fishing part of our annual reunion was a big success. The accomodations were an equal success with lots of room for sleeping and lounging around inside, out on the deck or down at the dock. We had such a great time we are planning to be back next year. The location was beautiful and the house easily fit 8 people. We enjoyed sitting on the dock at night with a citronella candle. We've never seen a home more carefully tended, as we saw Rick almost every day! The highlight of the visit was the pontoon with the tube. We had a fun time out on the lake. I only wish we could have caught more fish. My wife and I had a wonderful time at what we call "the lake cottage." I especially enjoyed the fishing time and catches with Rick--it was fun, reasonable and successful. He knows where the fish are likely to be! My wife especially appreciated the cleanliness of the cottage. This is a great opportunity to visit our young grandchildren, they loved it there too.We plan to return next year. Thank you very much for sharing your expertise in striper fishing. The four of us enjoyed the fishing. (Though the catching might have been better--oh well, that's the way with fish!!) The cottage was well equipped and very comfortable. The pontoon worked flawlessly, but in retrospect, I should have reserved the big jon boat. It is more maneuverable. We could have done some bass fishing. We might try to schedule some time later this year or next. Thanks again. For the 10 years we've been married, my husband and I have gone to the beach for our vacations. My husband, Steve, loves to fish, so I thought, I'd be a good wife and we could spend a week fishing and I could probably stand it. I found Rick's fantasic lakefront property on line and let me tell you - I had one of my best vacations ever! The house was perfect..it had everything anyone could need in a home, as well as a beautiful view of the lake. We fished for largemouths almost all day everyday,and although I didn't catch much, just being on that beautiful lake was so awesome! Steve did catch plenty and he was in Heaven! The weather was perfect too. One day we rented the pontoon boat - what a great day that was on the lake! But I have to say, the highlight of the whole week for me was when Rick took us out stripper fishing. (And he even cleaned out fish) I had a blast!! AND I caught the biggest fish of all (true story). I can't say enough about Rick. As soon as you meet him, you feel like you've been friends for years. He was fun, helpful, and did everything to make sure we were comfortable and had a good time. If you want a perfect, relaxing vacation, you just HAVE to stay in one of Rick's lake houses. I can't describe how wonderfuld Rick, the house, the lake and whole experience was. Steve is already talking about when we go back, and believe me - we will go back! Thanks for everything Rick. Hope all is well with you and Randi. We had a wonderful time at your Lake Home in July this summer. I cannot say enough about how wonderful it was, and how it felt like a home away from home. Two weeks just didn't seem long enough. We look forward to returning again someday. Thanks again for a wonderful stay at Lake Murray. The "Big" house was comfortable, clean and well supplied with all the amenities and sundry items we could ask for or need. Like you say, just bring yourself and a grocery bag and everything is here for your enjoyment. The property is quiet and peaceful for a relaxing week of R&R. We look forward to vacationing at Burkes Landing again next year! We were very comfortable and felt safe at Rick's house. Rick was available but not overbearing, and the house was very well stocked. We enjoyed fishing and swimming right off the dock. Thanks for an enjoyable week, Rick! We enjoyed our stay in Oct of 2006 so very much that we would like to return the end of april 2007 with our daughter and husband. Rick, your hospitality exceeded our expectation. The accommodation were perfect and we enjoyed the relaxing environment. You provided everything we needed to make this an unforgetable stay. Our dogs, Sandi (blind) and Oliver enjoyed the walks just as much as we did. We truly enjoyed our visit to Lake Murray and your lovely home. Canoeing the lake was great fun! Emma and Remington, our dogs, had a great time. What a truly beautiful and relaxing place. The weather was really nice especially for January. Thank you for making our stay so enjoyable. We hope to come back soon. We thoroughly enjoyed our stay at your cabin. Everything was neat and clean and your hospitality was wonderful! We look forward to renting from you again next summer. September 17, 2006 Reviewer: joe donohoe From: Hockessin, De. We really enjoyed our stay and Rick could not have made things any easier. The house,location on the lake and the boat made everything so easy. The fish could have cooperated better,but then again we aren't experts or bassmasters. We would certainly do it again. The relaxation thing was most important and we got plenty of that. We all had an absolute blast at your place last week. The weather was tolerable,the cottage was great and Donna and I celebrated our 30th anniversary while there. I really appreciated the time you took from your busy schedule to show us the proper way to entice stripers. Maybe next year I will land the monster. Again, thanks for all you did,hope to see ya next summer. I don't like to write, but for Rick I'll make an exception. I've owned property by Bowman for 10 years,I've fished the Santee Cooper for longer than that and I've always enjoyed it.I caught only 1 stripper in that time, it weighed around 7 1/2 pounds and was delicious,I've seen many lurking on someones wall in excess of 25 pounds but never caught one that size. This was the first time i've ever tried Lake Murray, and I really like it.When I dream about fishing, the water, the cabin, the weather,the fish.it's almost identicle to Rick's place.Rick's a veteran in so many ways,I first found that out when he called me after I e-mailed his listing,he did all he could to make sure we got there okay and that we were accomadated once we arrived,he taught us how to fish and where to fish, we didn't take any fish home because we ate them, about ten, except for Jerry's largemouth and Mike's crappie,I tried to tell Denise to mount her stripper and now she regrets that she didn't.the other two are at the taxidermist who Rick found us.I'm just sad I don't have my Stripper,it has to be 25 pounds plus for a mount,I did loose one that might have been that big! don't get me wrong, I am a sportsmen, if I shoot a deer and it's too small, I through it back.Just kidding peta! Rick was a great host and I consider a friend, I'm just trying to figure out how to get him and Randy to adopt me.Oh yea,the house and pier were great too, and Rick puts up with a lot.See you soon Rick. Thanks DiQui, Your Son, Larry. We truly enjoyed our visit to Lake Murray. I have to say our dogs loved it as well. What a beautiful and relaxing place. Rick is such a sweatheart-he did everything possible to make our stay enjoyable. He truly cares and goes beyond to make sure everything is ok. Can not say even great things about this vacation home and Rick. Our four legged babies loved the lake and home. So much yard for them to roam. Without a doult planned to rent this home again. could not have found a better place to get away and relax. The cottage was clean and very homey, a great place to stay! Your location is ideal for any lake activity or just relaxation. Thanks for the time and effort in helping us with the fishing guide service and fileting the fish, you went out of your way with just about evrything. I can tell you enjoy your lifestyle there. Will definitely be back for return trip. If you want a memorable family vacation this is it! We have 4 children and thoroughly enjoyed our week at Lake Murray. For a real get away that you can make lasting memories for you and your family ~ This is it! Hi Rick, We very much enjoyed your cottage and the use of your boats! The boys had a fun time waterskiing and tubeing. Your place is very peaceful and relaxing, and the lake is just beautiful. We had plenty of room for the whole crew and just about anything you need is there to use. We thank you for being so accommodating to our every need. You were so very helpful and we felt like we were visiting a good friend. We would love to come again in the future and catch some more of those fish! The couple the guys caught were delicious. If you're ever in the Cleveland area, let us know and we'll put a couple of beers on ice for you! Thanks again!! Four of us old Ret Army Colonels spent a week at Rick's and had a BALL ! The accommodations were comfortable and the fishin' was wonderful. Rick went out of his way to make us feel at home, and we plan to "do it again", next Spring. Thanks, Rick ! We enjoyed our vacation at Rick and Randy's cosy Cottage. Rick could not do enough to be helpful in every way possible. We are highly recommending Rick's cottage to our friends in PA. Everything you would need was there and more. We feel we made several new friends and decided we liked the area so much we plan to live there. I've had the unique privilege of staying at Rick and Randy's cottage three times over the past few years. I can't say enough about the accomodations, the location and especially the hospitality. Not only have we enjoyed each stay immensely, we've also made two very special friends. great lake house, staying there was like visiting a relative, pack lightly most everything you need is already there. great for kids, serious and non serious fishermen. wonderful dock and view. definately the best kept secret on lake murray (so don't tell anyone). 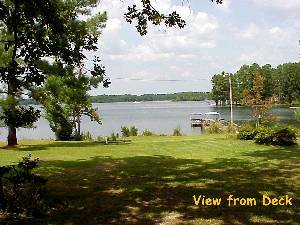 Rick,Nancy and I would like to thank you for the wonderful time we had at your Lake Murray cottage.You have a great location on the lake. During the week we had many quest and they all commented on how nice it was. Over the past years we have had the opportunity to spend time at Lake Murray and have enjoyed it so much. I recommend it to everyone and I can't think of a better place to give it a try,than at Rick's place.Again,thank you. Homeowner Response: Carol, Thanks for the kind words. It can be time consuming trying to filet over 20 striped bass in one afternoon, as your clan found out! For most people that is a good problem to have! I enjoyed meeting your family, and hope you will come back and visit us again. From the moment we arrived until we left we were treated to not only a beautiful cabin and lake but a great host as well. The ammenities are exactly as described (outstanding) and Rick went out of the way to help us with fishing, sightseeing, and relaxing. A great place to visit. Thanks for everything! We have stayed at Rick's cabin three different weeks over the last year, and can't wait until we go back! Rick is the best! There when you arrive, there when you leave, and making sure you don't have any problems in between. The cabin comfortably houses our fishing party of eight. The kitchen is well equiped so we have no problems preparing all the food we take with us. Rick also makes sure that the grille is never out of propane. A great place to fish and a great place to stay! Thanks Rick for everything and say hi to Rascal (the camp dog) for us! Homeowner Response: I always look forward to my good friends from Ohio coming for a fishing visit. I learn from them, and just once in a while, I teach them something! I have been to Ricks place twice now and both times were wonderful. My wife and I went down for our honeymoon and Rick greeted us with flowers and champagne. Rick made sure that we were comfortable, which made our stay very enjoyable. 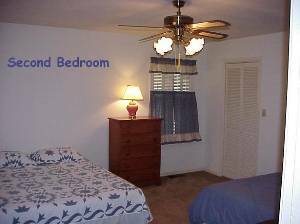 The location is excellent and the cottage has everything that one may need. During my second stay my Father and I came down to do some fishing. Once again Rick was very hospitable and even gave us tips on where to fish, as well as provided us with lake maps. We had a problem with our boat and Rick was kind enough to take time out of his busy day to assist us in getting the boat back to the cottage. I will definitely return to Rick's cottage in the future, as it is a great place to stay and Rick couldn't be a better host. around and also very safe. longer. A beautiful spot and great hosts. This cottage is everything you would want as a lakeside vacation rental. 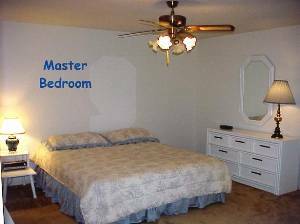 It has so many extras: huge property, privacy, large dock with lights and tables, fully furnished kitchen, washer, dryer...you don't have to bring a thing except your bathing suit. We have a dog (Lab)that is our baby and he was as much at home as we were. That meant a lot to us. He swam as much as we did. Rick is the perfect host and has thought of everything to make this the perfect gettaway. The vacation cabin was just wonderful on a gorgeous section of the lake. The views were spectacular. Our visit was in the winter and fires in the fireplace made the atmosphere just perfect. Almost everything one could need was provided and the owner was most accomodating. A return visit is a must. Thank you very much for being so kind and helpful. We had the "BEST" Vacation ever. We both have said we miss the Lake House. Good luck fishing...Catch my BIG fish that got away!! Thanks so much for being such a gracious host and making our stay at Lake Murray so pleasurable. The serenity of the lake was exactly what we had hoped for. The lakehouse was wonderful, clean, and well stocked. You went over and above the call. Anna and Dallas had a big time and slept all the way to Georgia. Thanks again and we have given your name to several people looking for a place to get away. Thanks for allowing the pups to have a vacation, too. We had a great vacation at Lake Murray. We enjoyed the quiet, relaxed pace. The cottage was lovely. It offered all of the amenities of a hotel or resort. Rick saw to all of our needs. The boat rental is a must! We can't wait to go back! Our stay at Rick's Lake Murray cottage was extremely enjoyable. We really liked the fact that the house was located in a quiet area where you can sleep late if you want to. We enjoyed the fact that the dock was in excellent shape and we could climb on our bass boat to fish Lake Murray any time we wanted. Our host, Rick, even set up a camp fire for us and we were able to sit and watch the stars right on the shore of the lake and roasted marshmellows. We brought our own bass boat and were able to fish every day, even caught some stripers. I hate to keep saying we enjoyed, we enjoyed, but we also enjoyed the large 2-bedroom 2-bath house (especially since it had a washer, dryer and dishwasher). We had a great time during the week we stayed there, and I can't say enough nice things about Rick! !